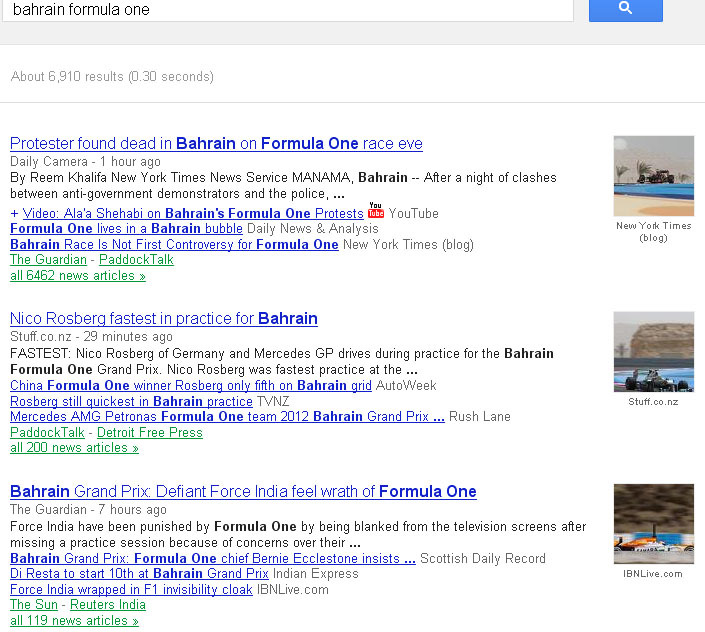 If you search Google News for "Bahrain Formula One," you find that the ratio of negative (political) to positive (race-related) news articles is about 4,082 to 232, or about 17.5 : 1. With coverage like this, Bahrain's leaders may be rethinking their cost-benefit analysis. The Formula One (F1) has always been a loss-leader for Bahrain. The country pays a fee to host it -- estimated to be at least $40 million each year -- and doesn't recoup this in direct ticket sales. Rather, the race is supposed to stimulate business worth hundreds of millions of dollars through its knock-on effect on other business. A 2008 study commissioned by the state sovereign wealth fund, Mumtalakat, suggested that the race added $600 million -- or about 2.7 percentage points -- to Bahrain's gross domestic product (GDP) that year. This is mostly through the boost that the race gives to tourism, including flights on Bahrain's state-owned Gulf Air, and through the development of Bahrain's international "country brand," as millions of viewers around the world watch the race on television. But this year, tourism is unlikely to perform well -- and if anything, the "country branding" impact looks likely to be negative. Internationally, the publicity around the race has drawn attention to the country's continuing protests and violence, to a new Amnesty International report on the continuing allegations of torture and human rights abuses, and even to a controversial video that shows police taking part in the looting of a Shiite-owned supermarket. Without the race, these developments might not make the news in the West. 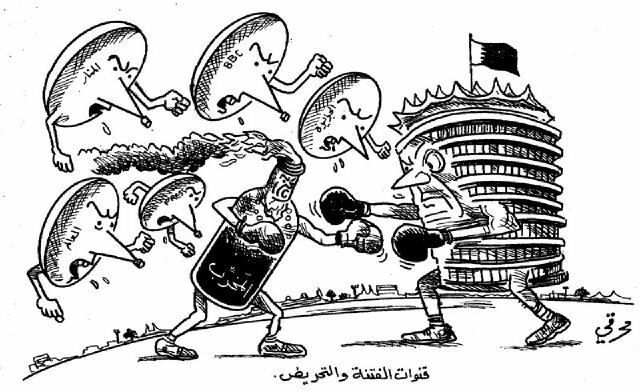 This means the picture isn't as simple as the usual portrayal of a government insisting on holding the race while the opposition protests against it. Yes, Bahraini officials have sought to make political capital out of the race, hoping it will send a message that the country is back to normal, and branding it as an indication of national unity with a slogan, "unF1ed," which has inevitably proven to be divisive. And yes, protesters from the February 14th Youth Coalition have been burning photos of F1's president and CEO Bernie Ecclestone in the streets. The NYT: "Bahrain’s Formula One Gala Not Going as Planned"
The Guardian: "At last Bahrain has found the friends it deserves [Yates and Ecclestone]"
The IHT: "The Unforeseen Consequences of the Bahrain Grand Prix." The Vancouver Sun: "Formula 1 Driving into Political Mess in Bahrain." For once, Bashar al-Assad will be thanking the Bahrainis for taking some attention away from the situation in Syria, rather than vice versa. Update: There is also a piece at Foreign Policy exploring a no less interesting (and, to Bahrain's leaders, worrying) topic, which is how continued unrest in Bahrain is negatively affecting U.S. navy personnel stationed in Juffair. The title: "Tear Gas at the Dairy Queen." Update 4: Despite BNA's claims of a "positive media glare" surrounding Formula 1, the political-to-race-related ratio on Google News is up to about 6,500 compared to 300, or 22 : 1. Considering the Bahraini governments aggressive tendencies would we be correct to expect a massive crackdown of democracy activists once the F1 is over in Bahrain and media attention is diverted elsewhere?